Summer has flown by and here we sit eager to get our classroom list and get things cleaned, organized and set up for the school year! 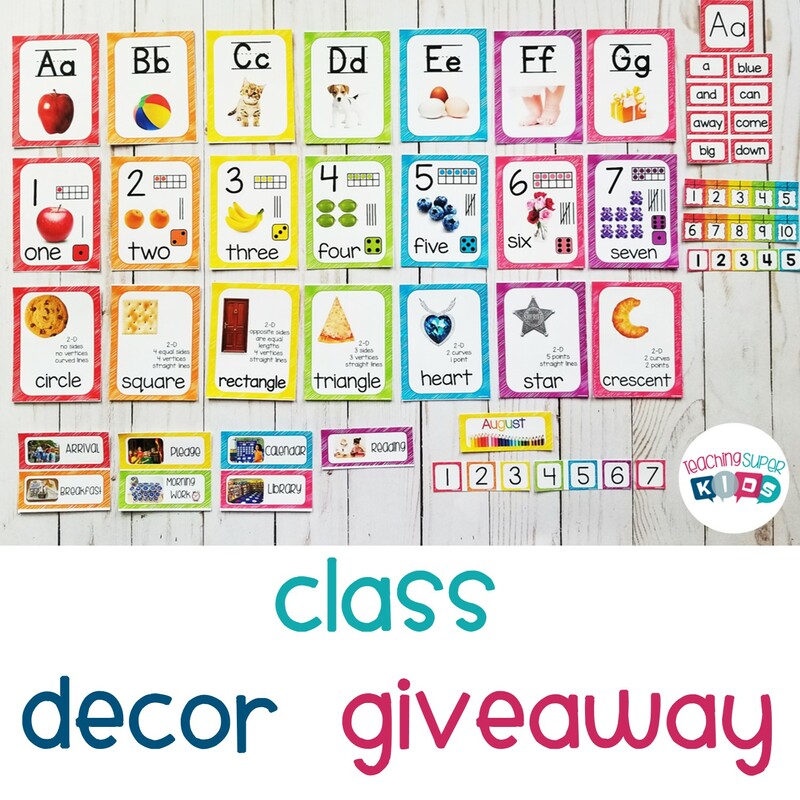 Fancy winning a class decor set of your choice? There is something amazing about taking an idea or color scheme and transforming it into a teacher’s “Happy Place” that makes me feel all warm and fuzzy. Not that I need any help in feeling warm since it is July in Las Vegas and yeah…… it is an oven out there. Enter the Back to school giveaway now! I can’t decide between the Scribble or Lime and Teal. I would choose the Superhero Set! That’s a tough one! I’m torn between Superheroes, Monsters, & Real Photos. I think I like the real kids! I like lime and teal! I love the scribble theme! Lime and Teal is so cute! Love the scribble and real photos themes. I like the Scribble AND the polka dots! Too tough to choose!! Thanks for the giveaway! Lime and teal for sure! I like the teal and gray! I love the set that is yellow, gray, and teal!!! I’m a polka dot kind of girl! Thank you!